In terms of it's main aesthetic, The Grinch is similar to many other of Illumination's efforts; the studio is known for adopting a low budget scheme when it comes to their productions and whilst it doesn't make their films unappealing to the eye in any way, there isn't any notable visual element that stands out in them compared to the likes of Pixar or even Dreamworks. Perhaps at times it may even look a bit bland to those who obsess over such stuff, and while the film does a decent job of adopting an art style that's reasonably faithful to that of it's premise, it's also hard to unsee the style of many other Illumination productions at times. Exploring multiple aesthetics isn't one of the studios strong points, even if this latest effort still remains a nicely animated one as a whole. The Grinch as an experience may be more appealing to younger audiences, but that's not to say adults might not be won over by the film's charm and occasional witty slapstick. Cumberbatch delivers a superb vocal performance as the Grinch himself, capturing his grouchy and cunning personality which makes him a largely enjoyable watch from start to finish. You'll find yourself far more interested in him as a character than the supporting Whos, who (no pun intended) come in the form of Cindy Lou (Cameron Seeley), her loyal group of friends, as well as her overworked yet loving mother Donna Lou (Rashida Jones). There's good intentions to their supporting roles, with an attempt at some dramatic depth and occasionally amusing comedy, yet a lot of it ends up being fairly bland and uninteresting in the long run, largely relying on many tired clichés. The Grinch's development throughout isn't the most complex either, but still more interesting and entertaining, and still surprisingly heartwarming in areas despite its lack of overall consistency. Perhaps one of the film's strongest moments is the Grinch devising his plan to steal Christmas itself; it's cleverly structured and thoroughly entertaining, leading to an equally enjoyable climax as he raids Whoville itself to complete his final dastardly scheme. There's ways the film of course differs from the book, inevitably to reach feature film length, and while it doesn't build much upon its original premise or wow audiences over with many of its new additions (the aforementioned supporting Whos, for example), this isn't a flaw that holds back the many enjoyable moments the story has to offer. 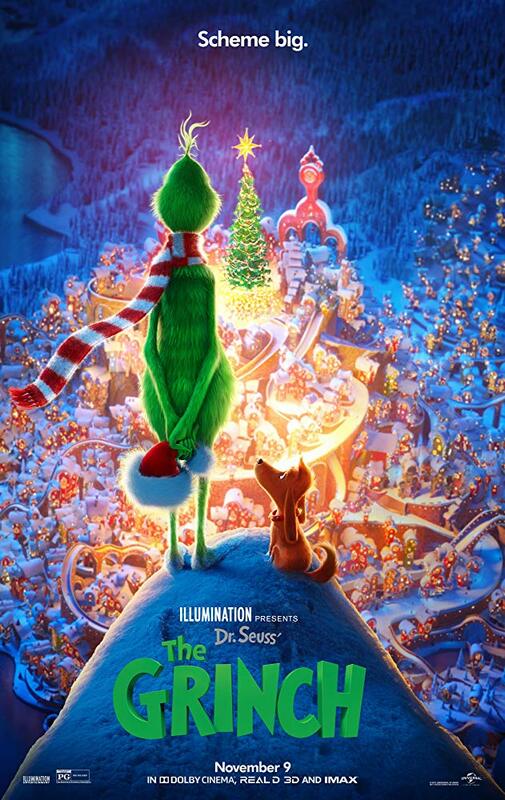 In general, it's once again only the Grinch and his loyal dog Max that offer the key entertainment, not so much our forgettable supporting (and even occasionally annoying) Whos, but overall this latest adaptation remains a fun family experience with a decent balance of laughs and tender emotions.